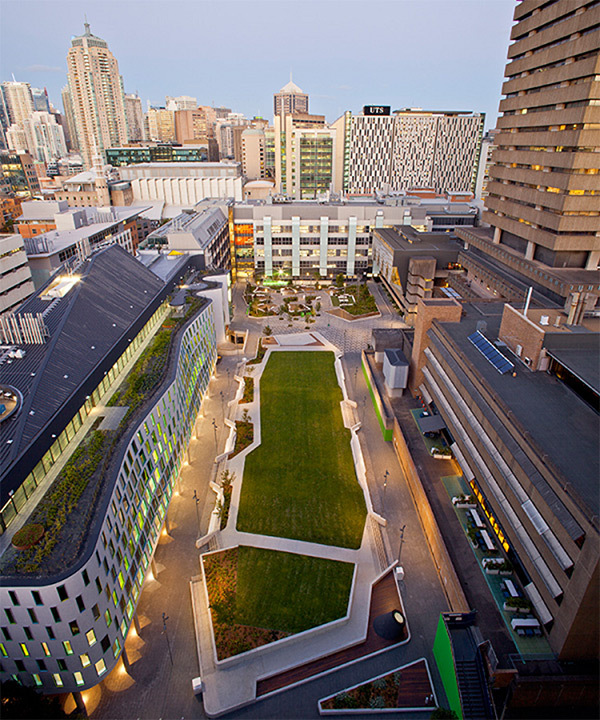 In May 2013 Nilsen was awarded the complete Electrical Services package for the UTS Thomas Street CB07 project by Richard Crookes comprising 3 separable portions: The UTS Thomas St Building (Faculty of Science Building 07), Library Retrieval System and The Alumni Green area. Faculty Boardrooms, meeting rooms and function areas, as well as support facilities including student lounges, public café. 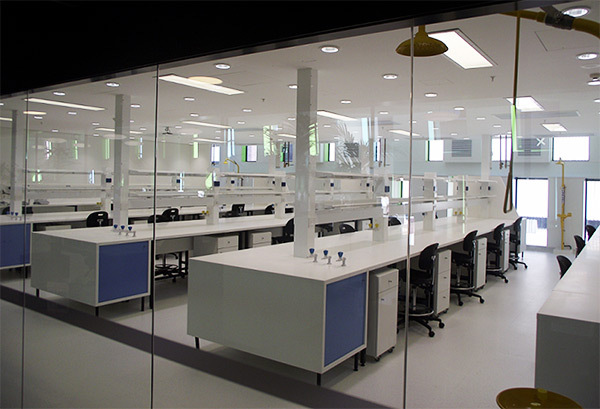 The UTS Thomas St building is a state of the art teaching facility including a Super Lab the first of its kind in Australia. The interior is defined by the extensive use of skylights and light wells to maximise the natural light throughout the building and the unique facade creates a strong aesthetic connection with the Alumni Green space. The Alumni Green is a work space used for special events and to encourage students and staff to linger and study outdoors. This is a functional study area supported with WI-FI, 240v power and intelligent lighting. The Library Retrieval System is positioned under the Alumni Green space. It is capable of housing 950,000 books and is only the second of its kind in Australia. The project was handed over successfully and defect free in October 2014.